Buy Facebook likes on Fbskip. .
Access any power plan with two clicks – power saver, balanced, high performance or any custom power plan. 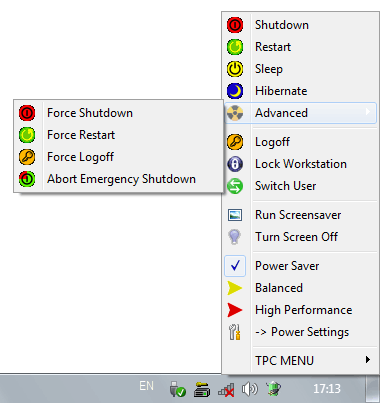 Two clicks to shutdown, restart, hibernate, sleep, screen off, logoff, lock workstation, switch user, run screensaver and more. 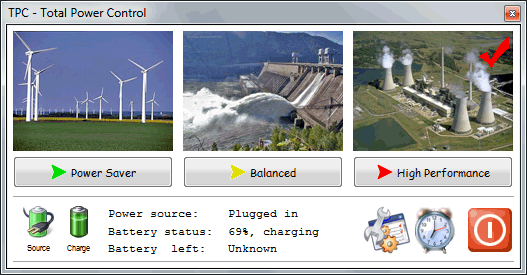 Timer, CPU Load and Hotkey Managers can execute any power-related function as well as start any user applications. Timer Manager executes specified action based upon system clock. CPU Load Manager executes specified action when CPU load reaches specified idle level. Hotkey Manager executes specified actions from the keyboard even when TPC is not visible. 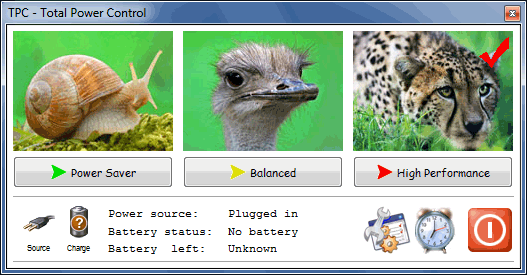 Battery Charge State meter reports current charge state of laptop battery. 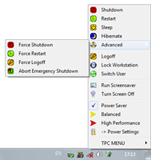 Advanced commands allow you to force a shutdown when your PC will not respond to the Windows shutdown button. Always-on-top CPU load meter puts CPU load information on your desktop. 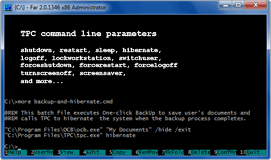 Built-in web server allows sending commands over internet or local network to shutdown or restart computer. 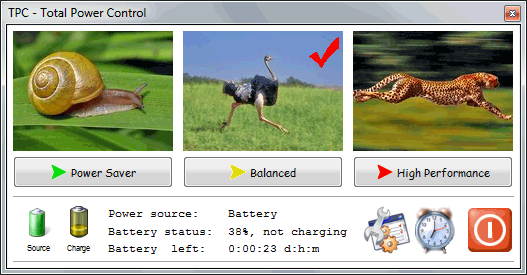 Create JPG or BMP screenshots using custom hotheys or make timed sequences of screenshots. 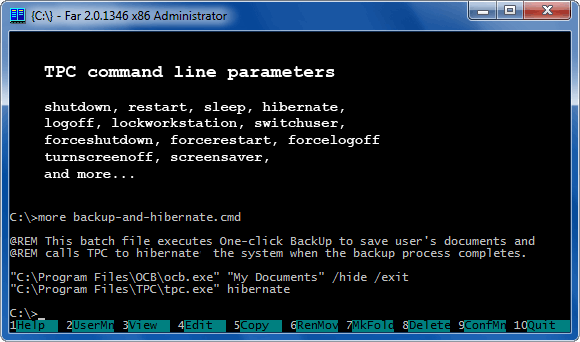 Command line support for all power actions. With the Timer Manager you can shut down your computer at midnight. With the CPU Load Manager you can shut down your computer after your backup utility has completed. With the Hotkey Manager you can shut down your computer with Ctrl-Alt-S (or any other keyboard shortcut). If you need more information about TPC, please refer to the online manual. 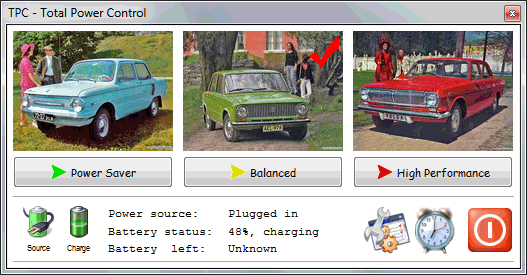 TPC is designed for Windows Vista and Windows 7 (32-bit and 64-bit). Limited support for Windows XP. Try all features of TPC for 14 days free of charge. Not crippled and no limitations. (1 Mb, contains the executable, offline manual and uninstaller; creates shortcuts in Start menu). (550Kb, doesn’t need installation; simply download and run; manual is only available online). Buy TPC with a lifetime license today for only $19 .95!!! 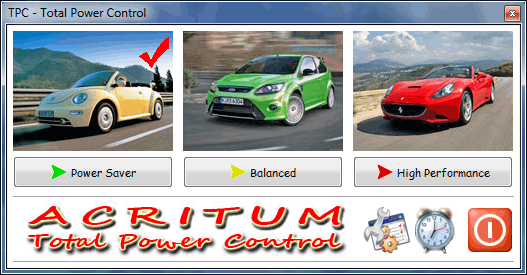 This order is processed by Plimus as online reseller for Acritum Software. Installation is not required, simply unpack the images from archives to the executable (tpc.exe). Click screenshot image to download corresponding sets of pictures. Max speed is 7 cm/m (0.0042 km/h, 0.0026 mph). Max speed is 72 km/h (45 mph). Max speed is 120 km/h (75 mph). Note that you can use any picture instread of Acritum Logo to hide battery indicator.